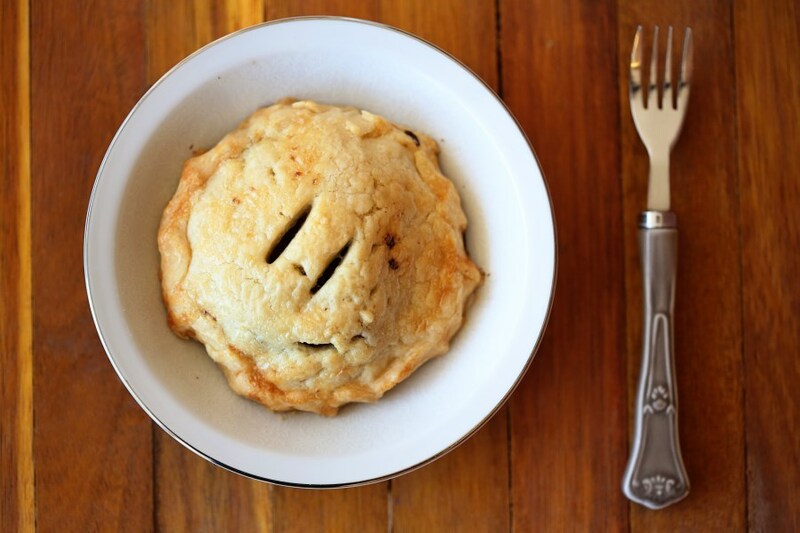 Thai Tea Pie – Happy Pi Day! Have you ever had Thai Tea? That smokey, campfire, roasted marshmallow tasting tea at Thai restaurants that they pour a luscious amount of heavy cream over top and it slowly drizzles down into the tea, creating a creamsicle effect? It’s amazing. It’s odd. It’s unique and it’s unforgettable. We had the epiphany the other day while we were at one of our favorite Thai places in town and they had Thai Tea cupcakes on display at the counter. We had to try one, of course, and as we were eating, Matt said, “If this was a pie, it would be Pie Tea.” I love a good pun and I loved the idea even more. I knew it would work! So today, on Pi Day, I tried it! 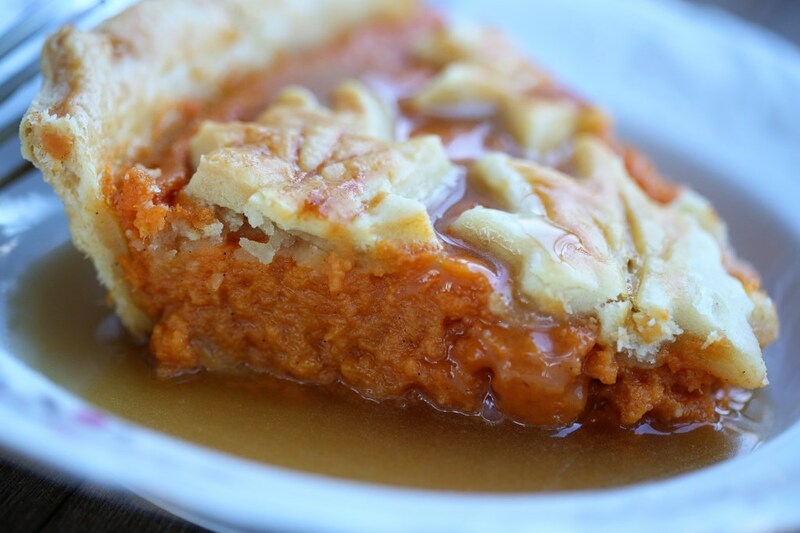 I simply substituted the sugar called for in a basic custard pie filling with Thai Tea mix and poured it into my favorite pie crust and baked it for an hour! It was amazing! Topped with fresh whipped cream to mimic the heavy cream poured on top of the traditional drink, this has become a new favorite creation. Preheat the oven to 400F. 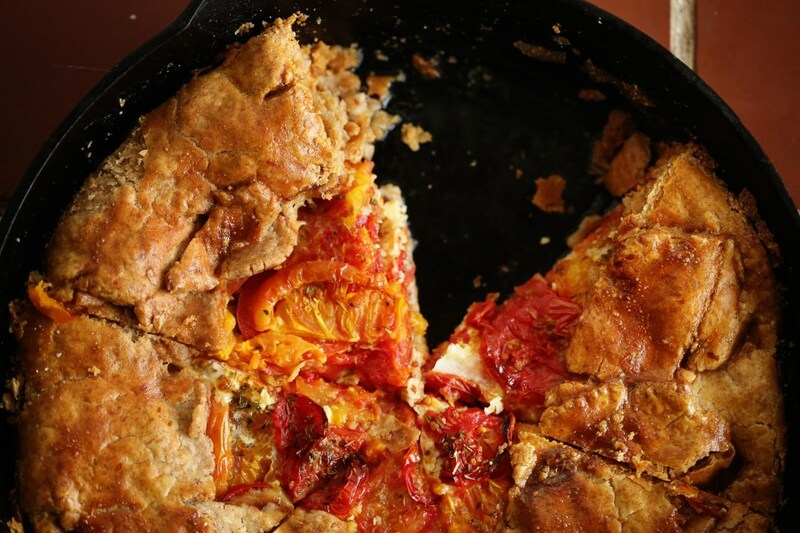 Roll out your pie crust and fit into a deep dish pie plate (you’ll have a little leftover if you use my recipe). Mix all the ingredients together and whip until well blended. 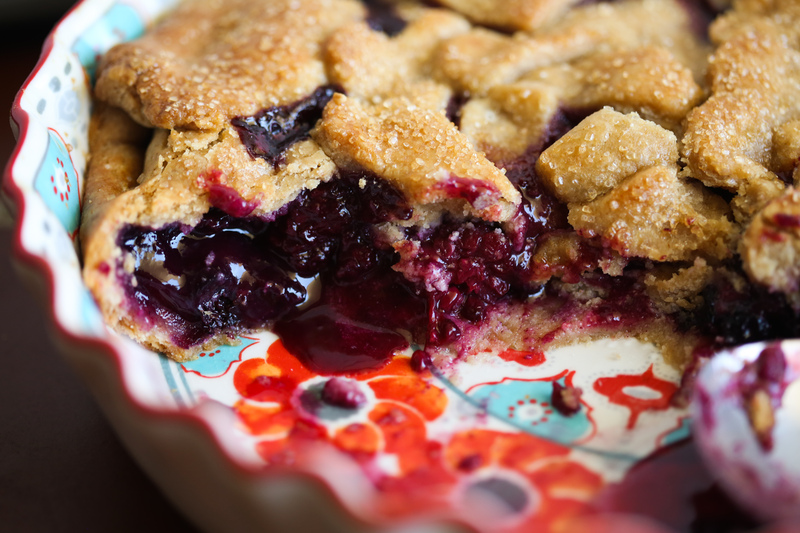 Pour into the pie shell and place pie plate on a rimmed baking sheet. Bake for 50 minutes to a little over an hour. It’ll puff up a bit and then it will settle once it cools. Top with whipped cream and enjoy yourself! It’s Use Up the Leftovers Before the Christmas Road Trip Day! This can be a fun little game and can even force you into being more creative than usual. I love leaving an empty fridge before a big trip. Helps to not have Ghosts of Dinners Past to greet you when you get back. When the holidays are over, I want to move forward. 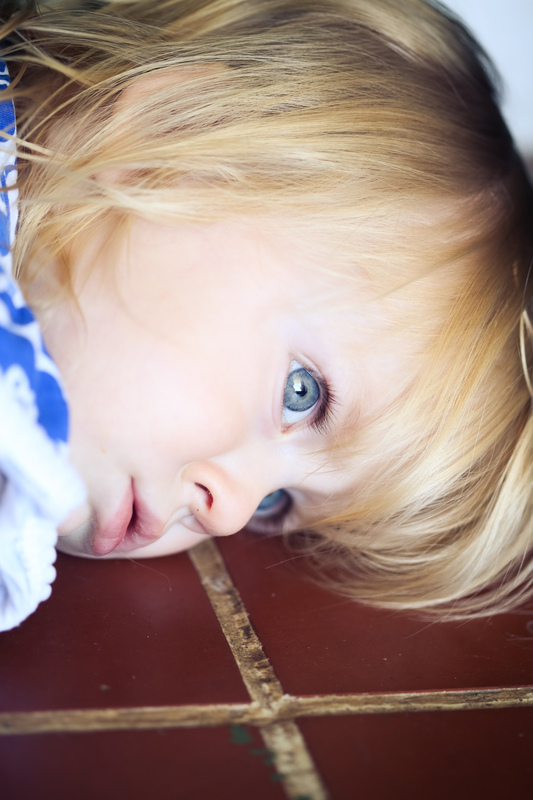 I don’t want to stare at a pan of bread pudding in the fridge. I want to start fresh! 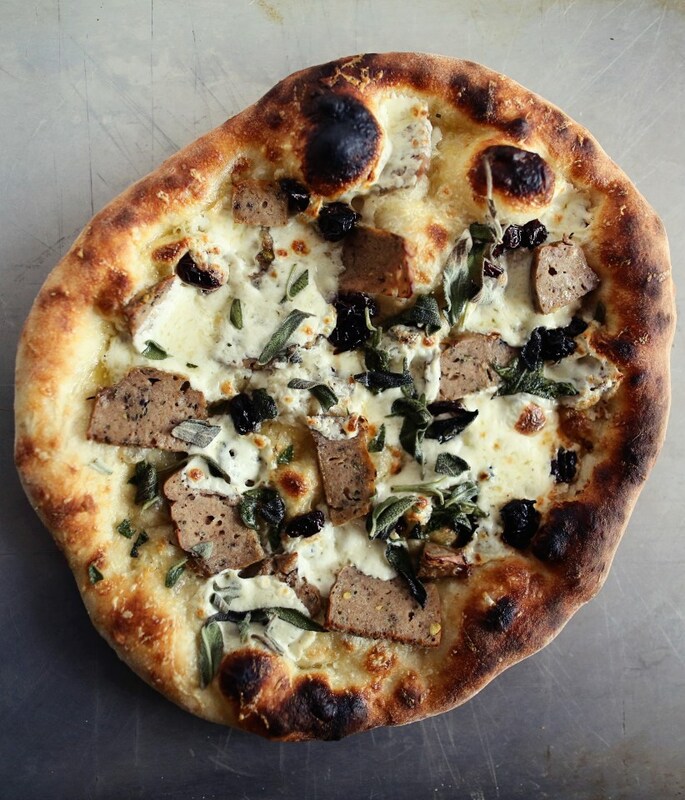 I had a bit of leftover duck terrine from Sunday (another wonderful recipe from Homemade Winter), a few sage leaves and dried cherries and thought that would be a great pizza combination. It was, indeed! We also made a pizza with leftover ground beef, goat cheese and sauteed leeks, and one with Matt’s favorite combo: Parmesan, pistachios and rosemary. I made my trusty tomato soup and we dunked our pizza crusts in it, and had a wonderful “Pre-Christmas” lunch together before heading off tomorrow to spend a week going here and there and everywhere! I’d recommend instead of the duck terrine, which I am 99.9% sure you don’t have in your fridge, that you just use any good quality ground sausage. 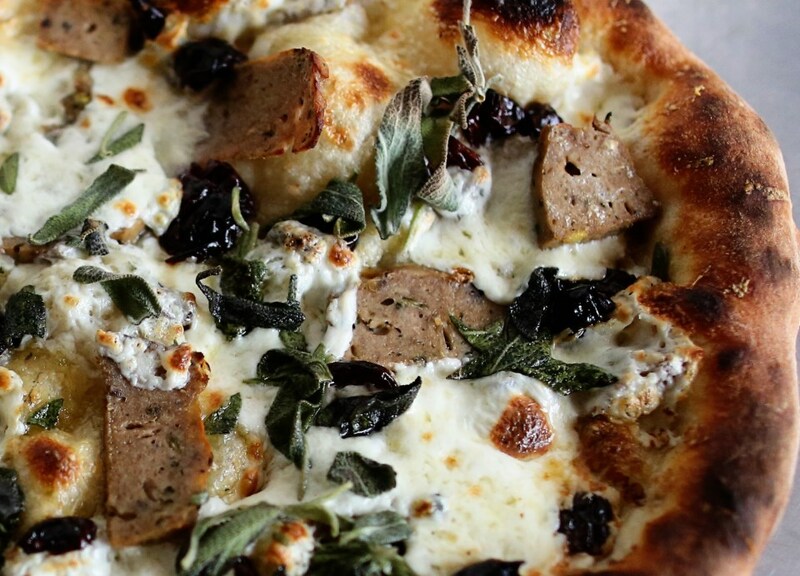 The combo of sausage and sage and cherries is classic and works no matter what. 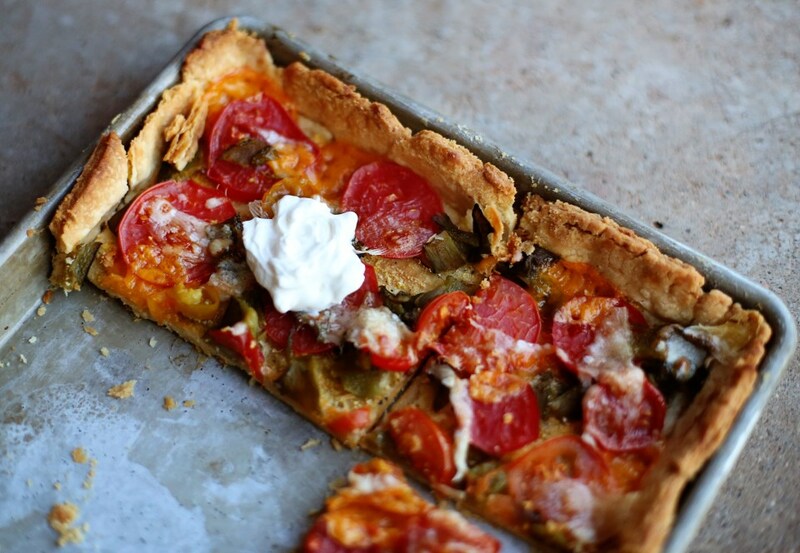 For the sauce, just use a drizzle of olive oil and sprinkle Parmesan cheese all over the crust before topping it. I put the sage leaves on during the last few minutes of cooking so they wouldn’t burn, and I positioned some plain mozzarella over the cherries so they wouldn’t burn, and it worked out great. The fun is in the leftovers you find. 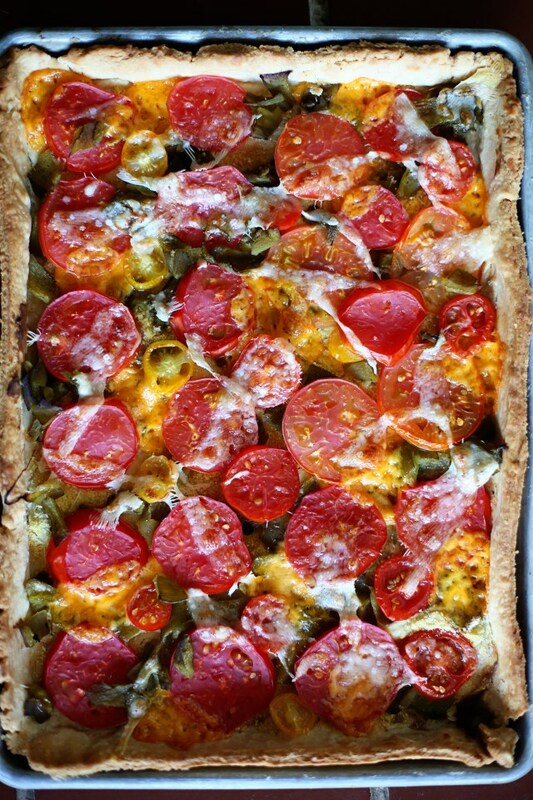 Don’t limit yourself to “normal” toppings – you never know what great combinations you could create! I had a wonderful Thanksgiving and I hope you did, too! I got to spend it with my whole family! Both my brothers came down with their children and with them and my parents, there were 16 of us bedding down in our old childhood home! I got to see my grandmother and my sweet Aunt Mary, too! I really don’t think I’ve seen that much family in one weekend in several years. 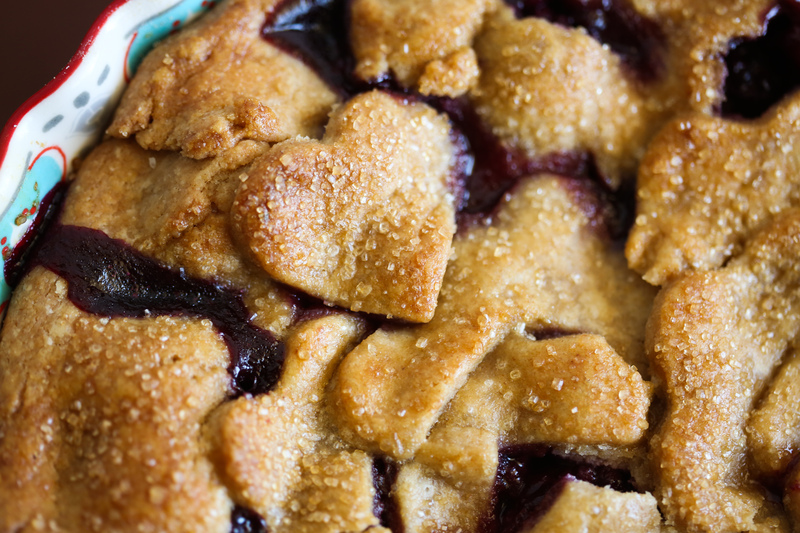 It was good for the soul and I don’t feel like I even overate as much as I usually do, which enabled me to enjoy the heck out of this pie I created on Friday night. 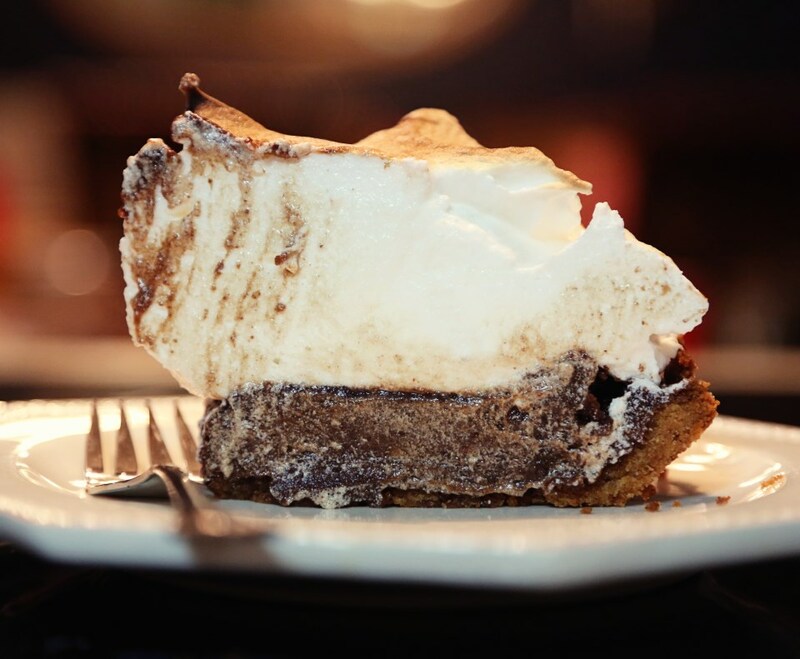 S’mores pie! 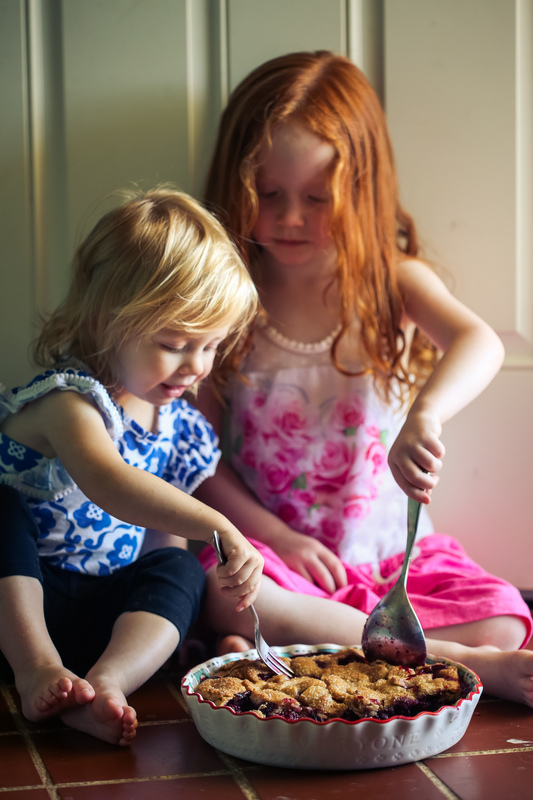 When we showed Olive s’mores for the first time this summer, we made them with dark chocolate. I loved the balance the dark chocolate gave to the super sweet marshmallow and graham cracker. 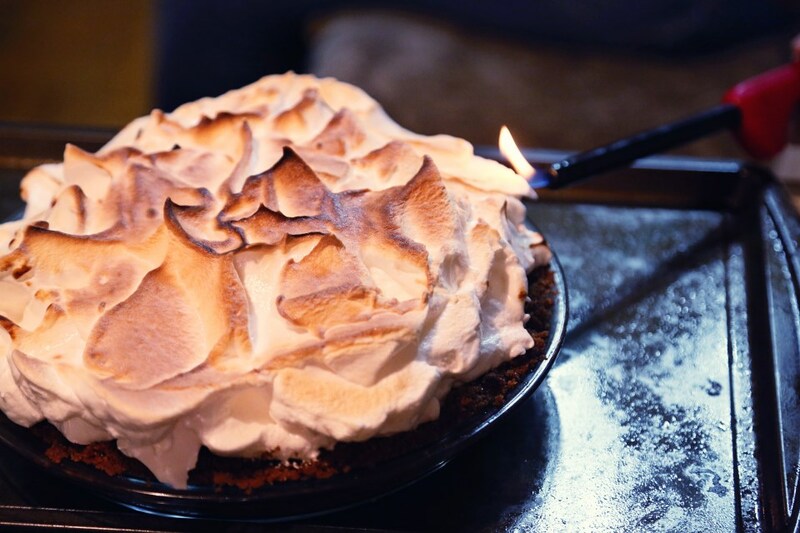 So when thinking of a pie to make for Thanksgiving, I thought of doing the darkest chocolate pie I knew how to do and topping it with my favorite meringue and then torch the heck out of the top. 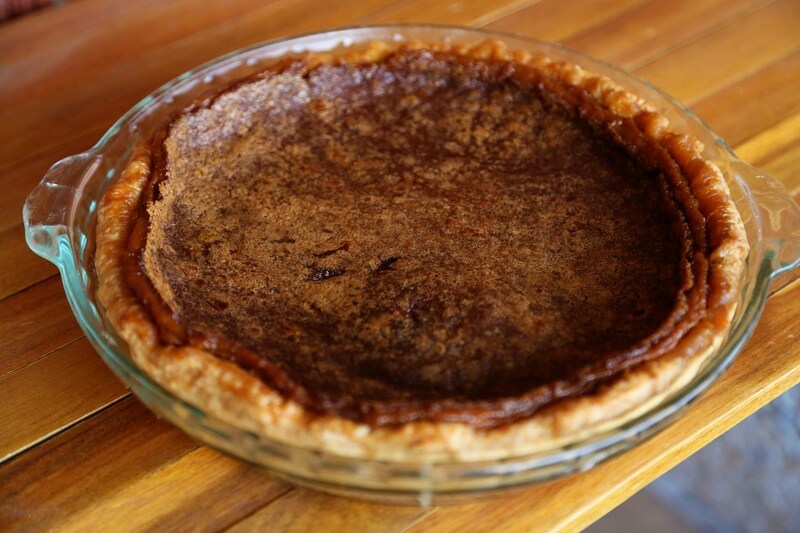 Seriously, if you want to win some kind of chocolate pie award, this is your pie. 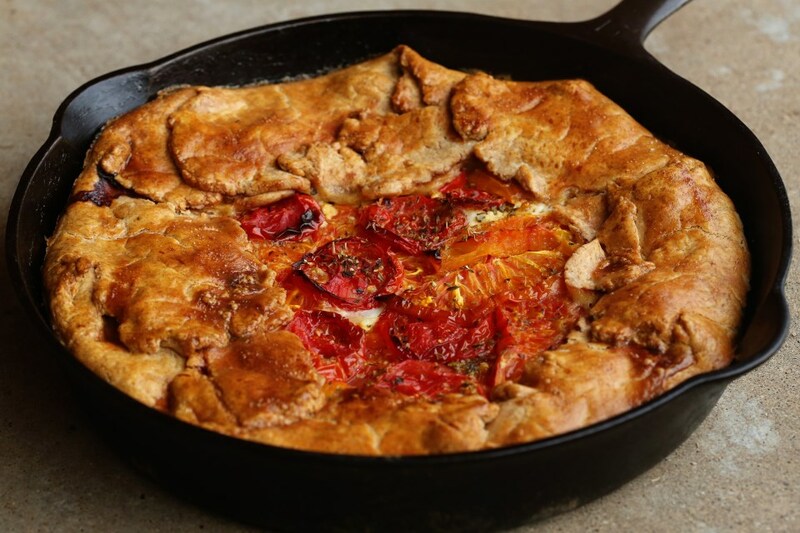 Make it with a traditional crust and serve it with soft whipped cream and that is all you’ll need for ultimate bragging rights. I nearly skipped out on the meringue, but I wanted that dramatic torched effect so I went with it. I think if I were to do this pie over, I would give it more s’moresy flavor by just dumping a bunch of marshmallows on top and burning them to a crisp. Because I’m that s’mores gal – the one who likes to eat slightly sweet bits of char instead of marshmallows. I’d say most people aren’t like this or don’t have a coal deficiency or whatever, so I erred on the side of not-too-burnt. 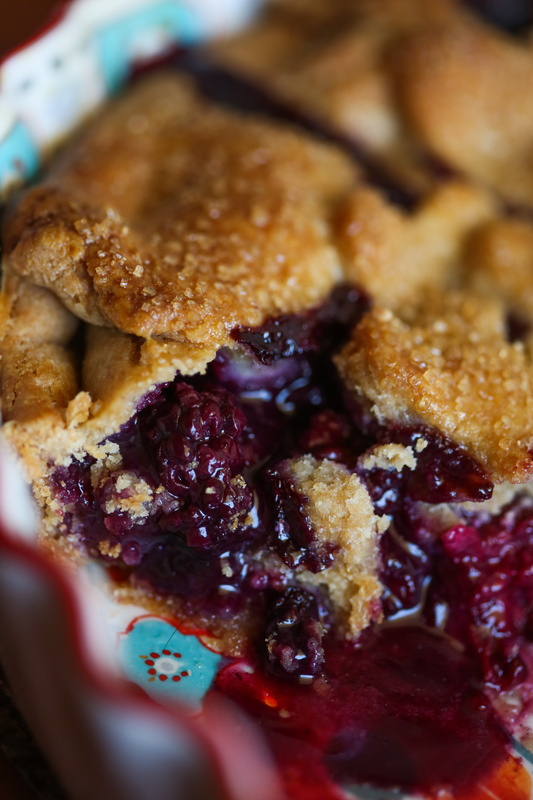 The results were great and I will definitely make this pie again at Christmas! My nephew, Landon, helped me torch it! Preheat oven to 350 degrees. Combine the crushed graham crackers, sugar, salt and butter until it’s well combined. If it doesn’t hold together when you press it between your fingers, add the tablespoons of water. 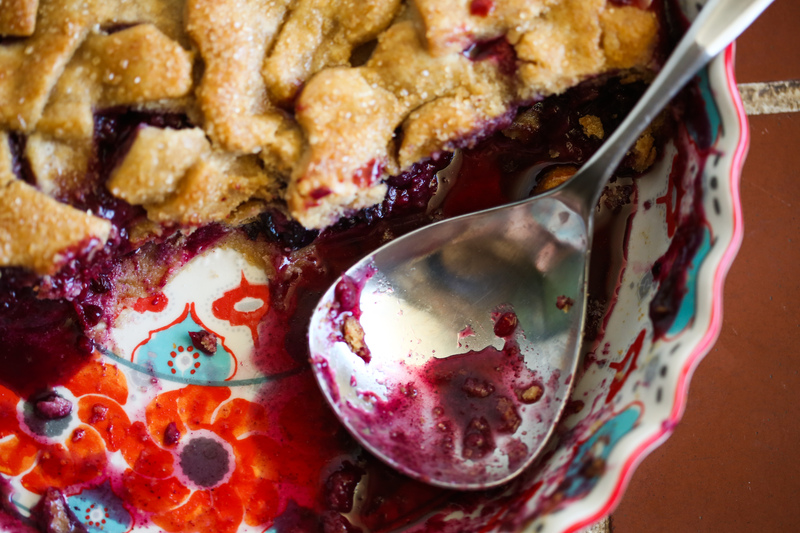 Press into a 9″ pie plate and set aside. Combine the eggs, evaporated milk and sugars until smooth. Put the cocoa powder and instant coffee in a small cup and add a tablespoon of water and whip it into a paste. Whisk this paste into the egg/milk mixture. Melt the dark chocolate and butter together in a microwave at 30 second increments, stirring after each time until completely smooth and glossy. Add the chocolate and butter to the egg mixture and then whisk in the corn meal until smooth. 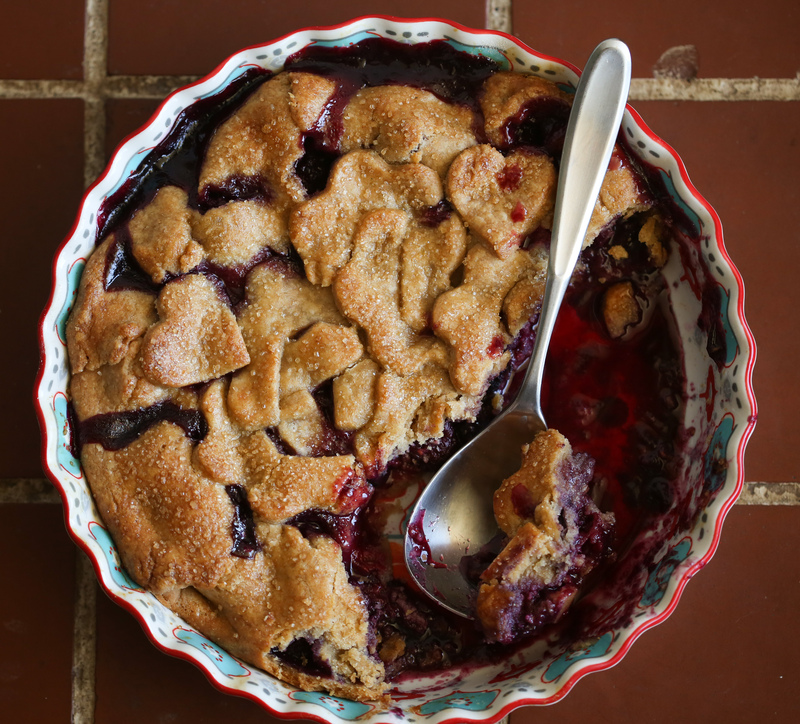 Pour into the pie shell and place your pie on a rimmed baking sheet and bake for 45 minutes to an hour, until the middle doesn’t jiggle anymore. 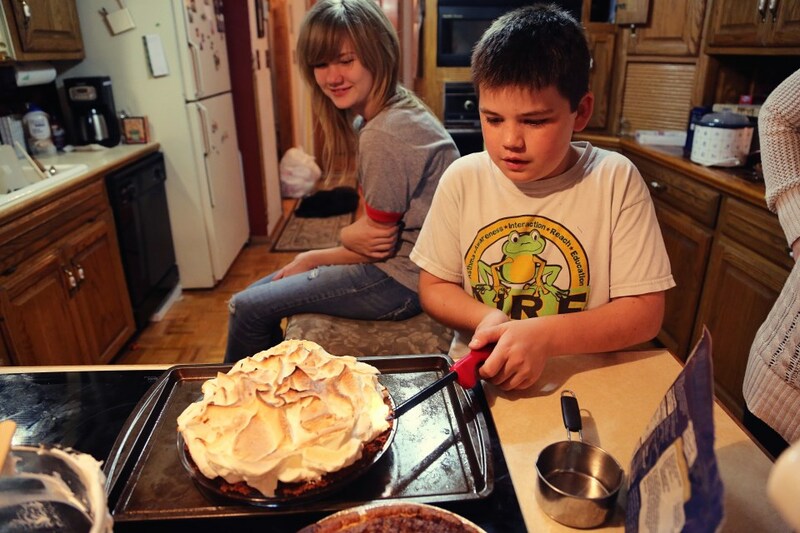 Let the pie come to room temp before making the meringue! Place the sugar and water in a small saucepan and bring to a gentle boil till the temp reaches 250 on a candy thermometer. While it’s boiling, put the egg whites in a mixer at medium speed and beat with a pinch of salt until soft peaks form. When the sugar is up to temp, remove from heat and while the mixer is going on medium, drizzle the syrup in a very thin stream until completely incorporated and then increase speed to high and whip until the bowl cools down. This takes a while so be patient. 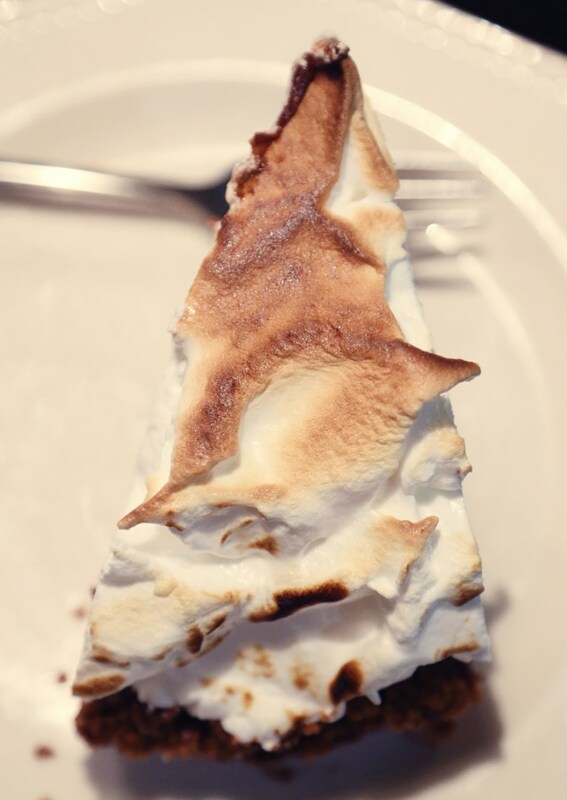 Dump ALL the meringue on top of your ROOM TEMP pie and with a blow torch (such a great addition to any kitchen) or a dainty creme brulee torch (not as fun) torch the meringue until evenly browned. If you have neither, you can brown it in the oven under the broiler but you have to be VIGILANT as to not burn the meringue. A broiler works scary fast. 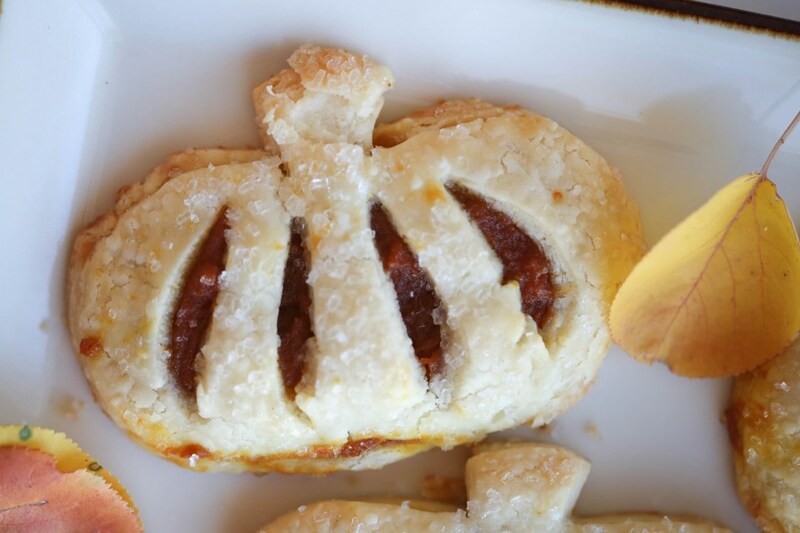 These cute little pumpkin tarts took about 30 minutes. 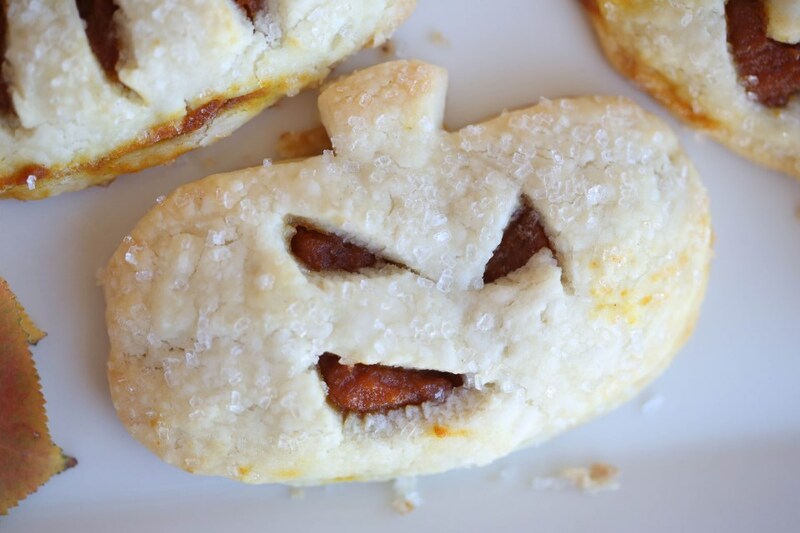 I had leftover pie crust in the fridge, and I only had enough to make three of these little guys. But that’s all we needed, anyway! Today was fun – lots of fall-ish events, the festival at the church, trick-or-treating at our friends house, having a greasy bacon cheese burger at Spanky’s – okay, so that last part wasn’t necessarily fall, but I associate that place with football season! 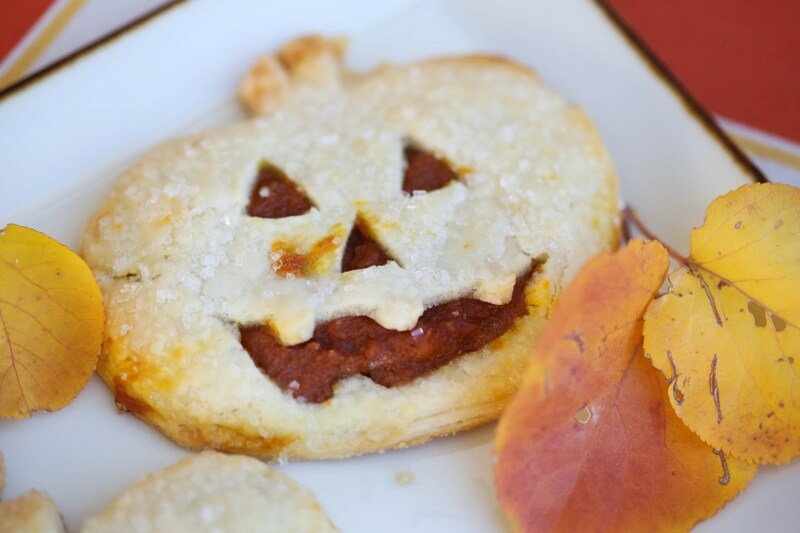 These little tarts could be made with any shape cookie cutter and of course, after tonight, jack-o-lanterns will be out! 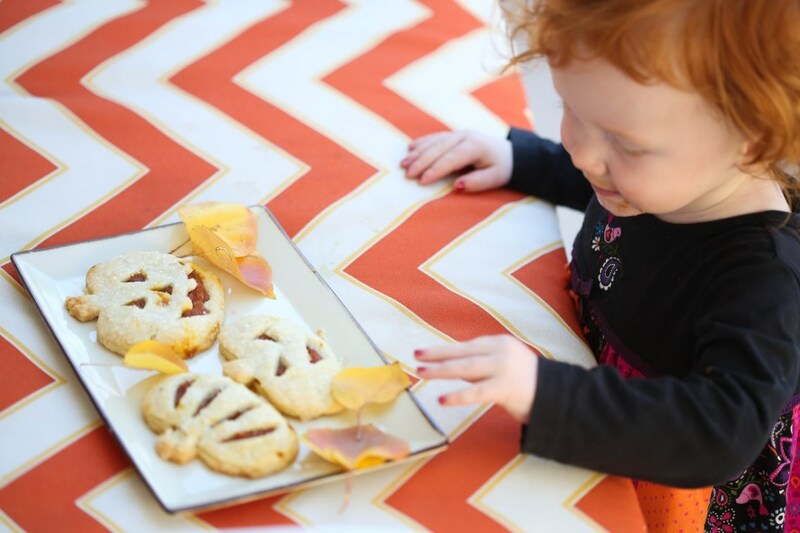 So use a leaf or circle and cut out some cute shapes – whatever you do, these are seriously fun and delicious! Mix the puree with the sugar and spice and set aside. Roll out your dough, cut into shapes and run your finger dipped in water around the edge of the bottom layer. Place one to two tablespoons of filling on the bottom layer (will depend how big your shapes are). Slightly roll out the top layer a little more than the bottom, cut out designs that you wish, and place on top of the filled bottom layer, pressing down the edges. 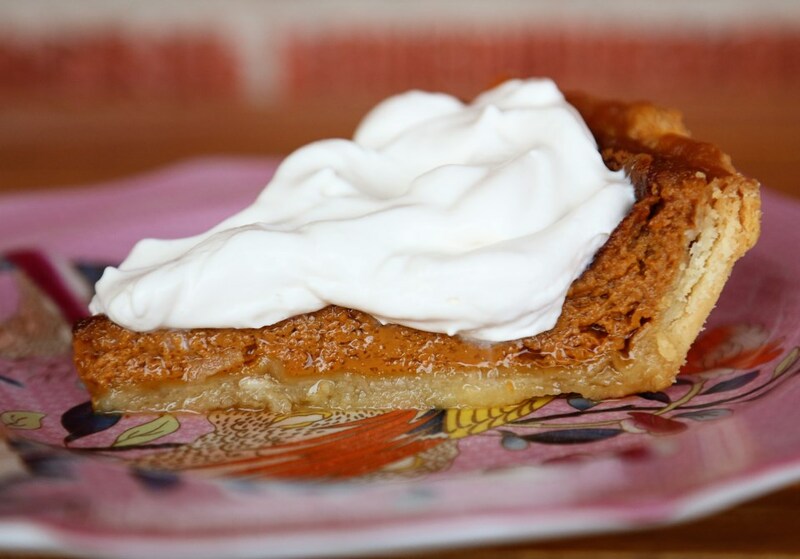 Brush melted butter on the tops of the tarts and sprinkle with coarse sugar, or any kind of sprinkles! Bake at 400 for 20 minutes, or until golden brown around the edges. Last weekend we were invited to our friends’ house for a dinner party. The theme was Cajun and so Matt made a humongous pot of gumbo, which has been many meals this week and is very good, and I made this sweet potato pie that was obliterated by the end of the night and I sadly didn’t have any leftovers for breakfast. I’m actually glad it got gobbled up because that’s instant portion control. 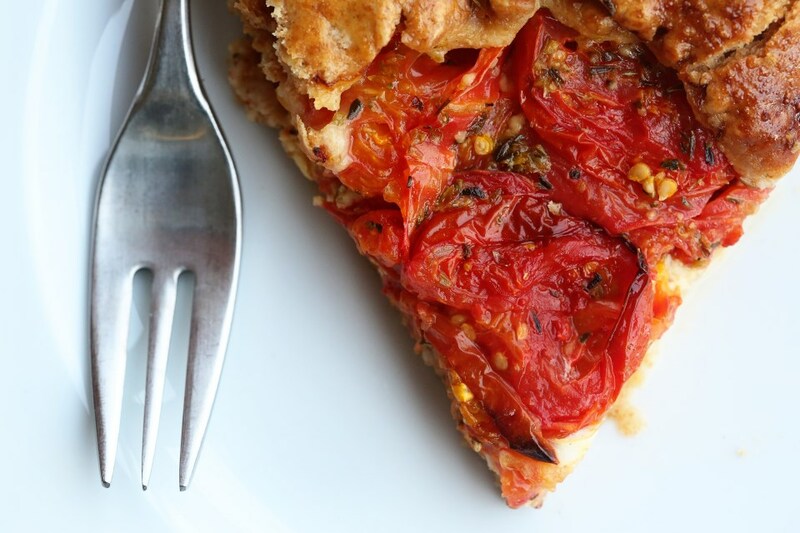 I shared one slice of this pie with Olive, she ate most of it, and I enjoyed every bit. 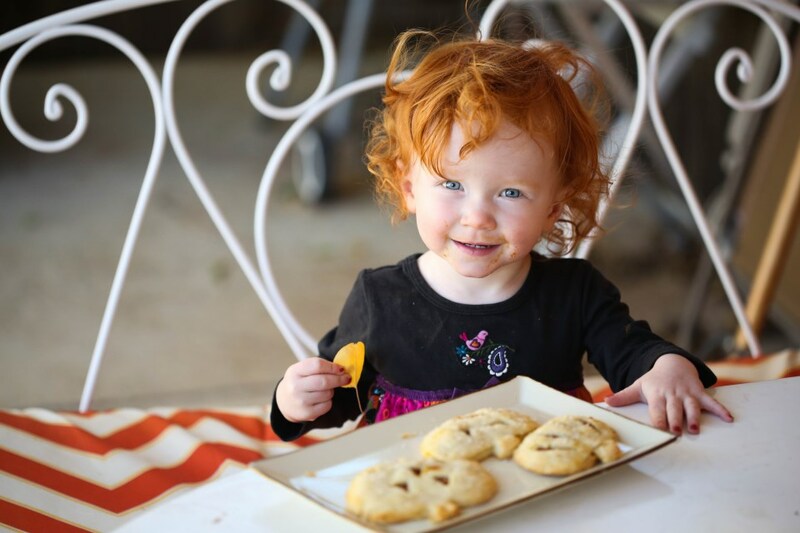 I had a lady at church last night say, “I’d love to live in your house so that I could eat your food, but then I’d be 7,000 pounds.” I’m not exactly sure this blog is conveying the truth if that’s the overall sentiment! I’m also not sure I’m conveying properly the amounts of these foods I DON’T eat. I made three batches of The Cinnamon Rolls over the course of two weeks and I think overall, I ate two whole cinnamon rolls, maybe three. But it wasn’t a couple each batch, or “the whole pan” like a lot of people swear they’d eat if they made it themselves at home. I don’t think people give themselves enough credit. 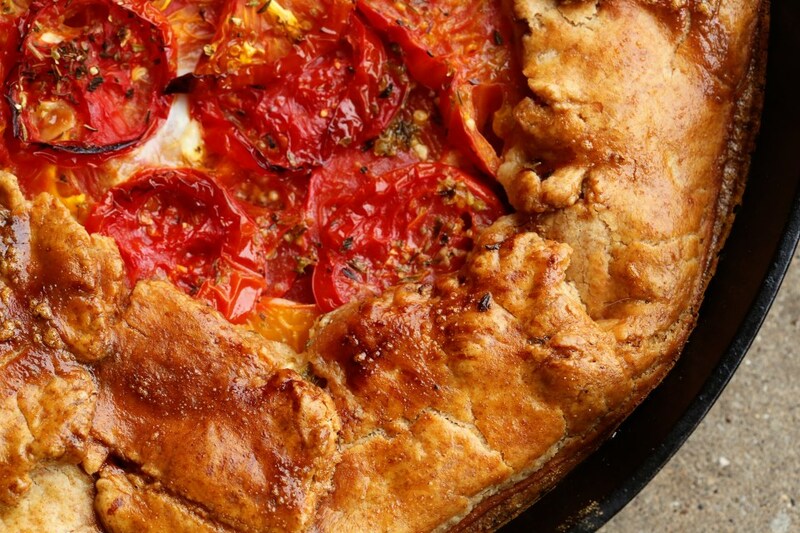 Of course you wouldn’t eat the whole pan. How on earth would that be enjoyable to have a stomach ache because of something you baked? Maybe that’s the whole problem with portion control with indulgent foods. People get a feeling like they need to “eat the whole thing” to pretend like it never happened, to remove it from sight and further temptation. They feel “bad” eating it in the first place and so why not eat it badly?! Whatever the reason, it’s a wrong mindset. And one I hope to never impose on Olive-that rich foods are somehow bad and we should feel guilty or gain 7,000 pounds for eating them on a weekly basis. During the week, we eat simply. Bowls full of beans, rice, sauteed chard and potatoes and steamed fish, beet pasta, roasted carrots, butternut squash soup-that was this week. These do not make the most riveting blog posts, nor do I always remember to take pictures of “regular” meals. Perhaps I should! Maybe it would help balance out peoples’ fear of the occasional pie or butter sauce. My hope for myself and anyone who loves to cook is that we find a good balance and that we effectively remove all GUILT from eating. Find a way. Whether that’s eating smaller portions or just meals made from fresh, good ingredients that couldn’t live in a box if they tried. Maybe if that was the norm, and eating at home was what we did 6 days out of the week, than a crazy good, gooey brownie on the weekend or a night out at a restaurant would seem like the treat it is, instead of the impending portion of guilt that it’s come to be. This pie was light and fluffy almost like a souffle. It wasn’t overly sweet and so it went AMAZINGLY well with the butter rum sauce I decided to make at the last minute. I think it would be perfect without the sauce, but it was the gilding of the lily for a festive occasion like a dinner get-together. I also adore the website I adapted this from – The Gumbo Pages! That is the best website name, possibly ever. And the recipe was clearly from someone who never had to write it down. A lot of “approximate” measurements and “about this much” kinda talk. 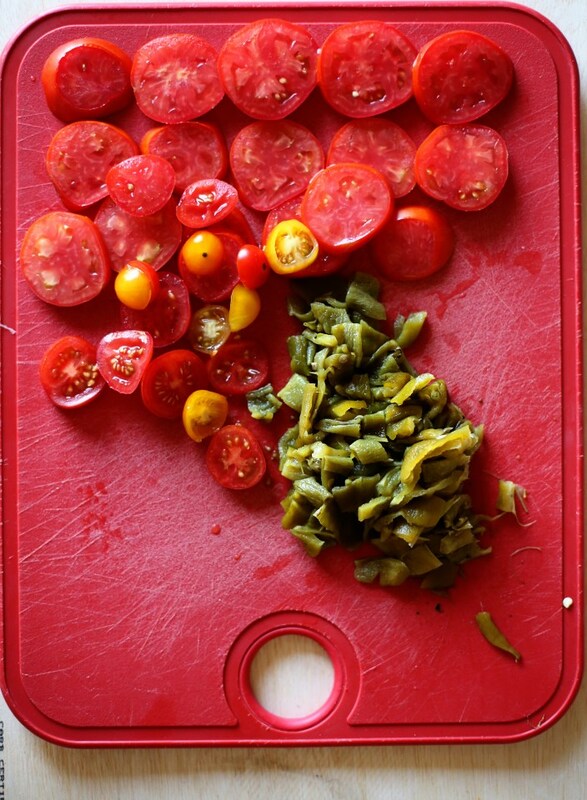 I love the nature of a recipe like that. 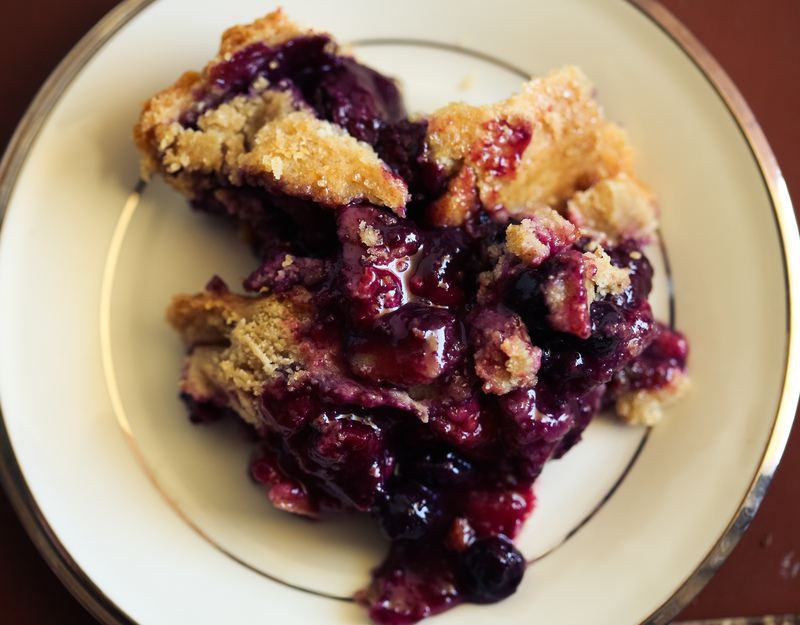 And I love that this recipe came from someone with the nickname “Pie Man.” Honestly, how can you go wrong with that combination? Boil the potatoes whole in plenty of water (covering them by about two inches) for about 30 minutes, until tender all the way through. Peel them after they’ve cooled a bit and give them a rough dice. Mix the potatoes in a stand mixer with the paddle attachment until they are smooth and very few lumps remain. Mix the eggs with the cream and spices, lemon juice and vanilla until smooth and gradually mix it into the potatoes. Add the salt and sugar and let the mixture blend on medium for about 5 minutes. Pour filling into UNbaked 9″ pie shell, bake for 40-45 minutes at 350-325. 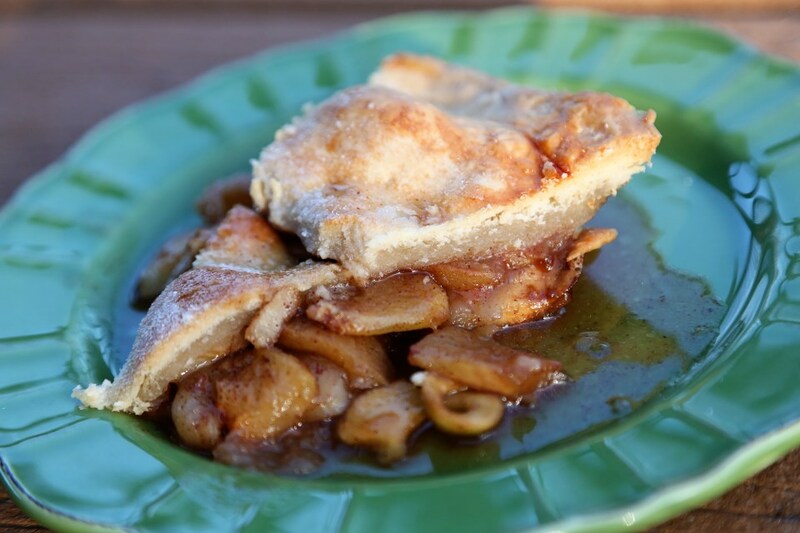 Serve with butter rum sauce or whipped cream! Let the butter melt with the cream and sugar and stir until the sugar is completely dissolved. Add salt until it tastes right to you – let it take some of the sweetness away and give it some depth. Add the rum and mix well and serve! It’s official. I’m in fall-cooking mode. Bring on the orange vegetables and the slow cooked meats and the braising liquids. Bring on the pies with custard fillings and mulled wine. 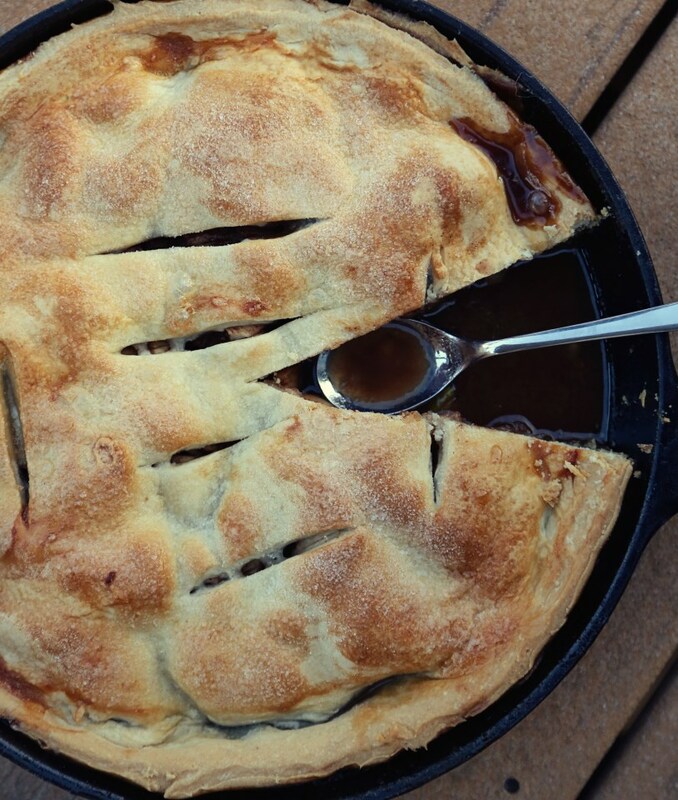 Let the apples stew in cider and the cinnamon sticks abound, we have officially fallen into the best time of year! I love how the natural seasons for foods are meant to put a little extra meat on your bones to survive the cold winter months. Even though most of us have climate controlled air year round, I still appreciate the way shopping seasonally will naturally guide you through the year. I am jumping the gun just a tad, but since the 10 day forecast has us in the 40s at night and the 70s in the day, I’m embracing the way things feel. I have waiting a long, hot summer to start dreaming of stews and caramelized butternut squash. I’m ready. Let’s start with bringing back the Sunday pot roast. Matt and I want to have that tradition for our family. Growing up, we both regularly had pot roast on Sunday afternoons after church. It’s the natural ease of letting something cook on the stove or in a slow cooker while you’re at church. Mom always make yeast wheat rolls to go with it. 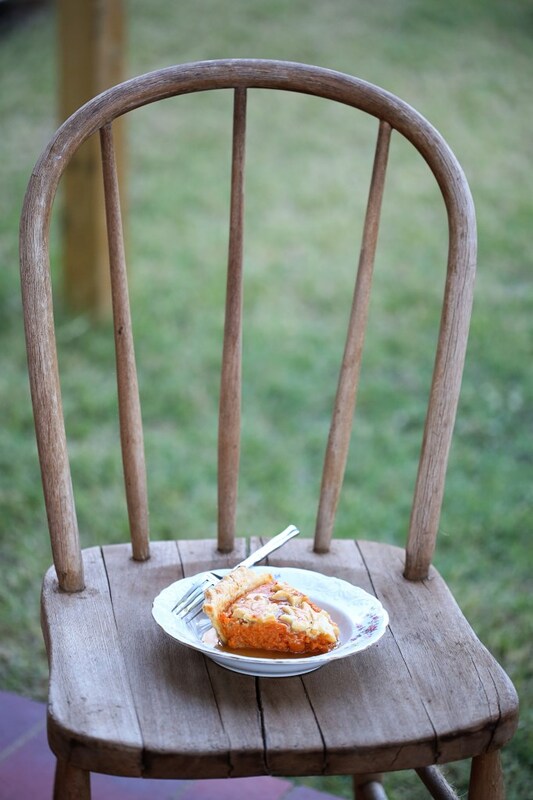 Some of my favorite food memories came from that meal and I will feature her winning recipe on this blog soon! Matt has made a few amazing versions and I tried a recipe I saw on Pinterest yesterday and it was remarkably easy and very flavorful! Then, today for lunch, I played with the leftovers and came up with little pot roast hand pies, covered in pan juices. This was a good move in all directions. Leftover pot roast from yesterday with potatoes and carrots. 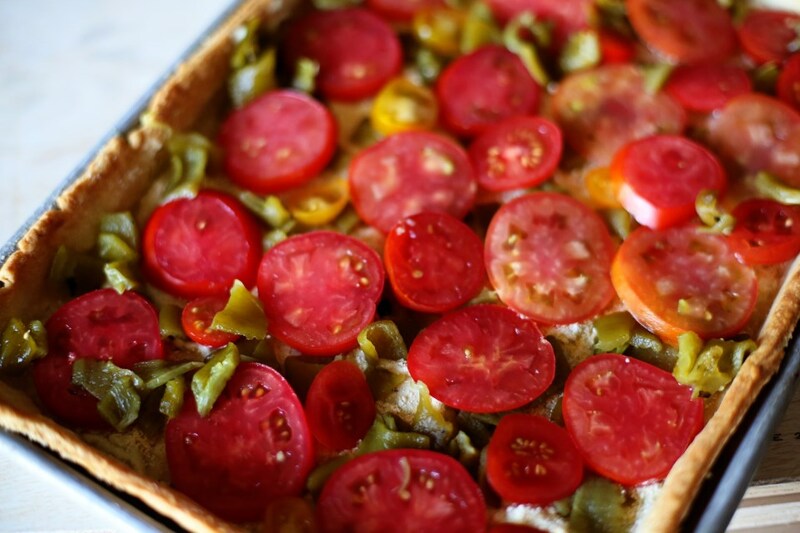 Chopped up a few pieces of each component and tucked spoonfuls into the only pie dough worth memorizing and baked. I didn’t want to add too much of the leftover cooking liquid from the roast inside the pies because I didn’t want them to be soggy as they cooked and leak out everywhere. So, once the pies came out, I ladled warm, beefy pot roast juices over the pie itself and it soaked up just enough for the crust to not be too dry, yet it remained crispy and flaky and buttery. Best. Fall. Lunch. Ever. Too bad the baby wouldn’t partake. She really missed out. Too many eggs for breakfast, I guess. Although, I think on a day when she is super hungry, she will really like this. I can just see her cute little hands holding a tiny pie. Ah, well. Maybe next time! Put a cup of flour in your stand mixer with a paddle attachment and add the salt. Mix to blend. Add half the butter by small handfuls, beating on low until all the butter is fully incorporated into that cup of flour. Then, add the next cup of flour and beat on low until completely blended. Then, add the water sprinkle by sprinkle until the dough comes together and stays together when pressed with your fingers. Separate into two discs, wrap in plastic and let chill for at least an hour. 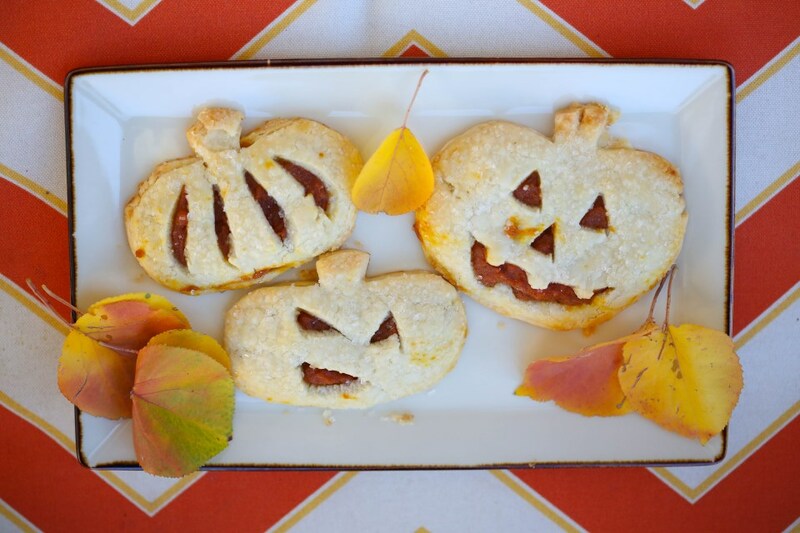 Take out 20 minutes before making the hand pies so they will roll out easy. Take a few components from the leftovers – a bit of roast, some carrots and potatoes. Chop well! Heat up the juice from the leftovers on low on your stove. 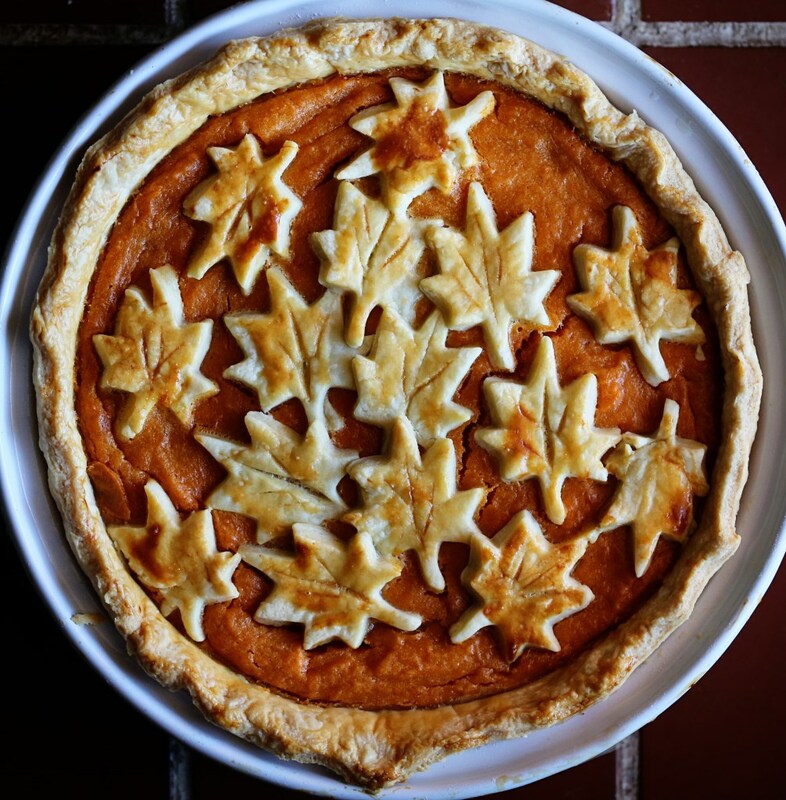 Roll out your pie dough and cut out 4″ circles. Fill the circles with 2 heaping tablespoons of roast mixture. 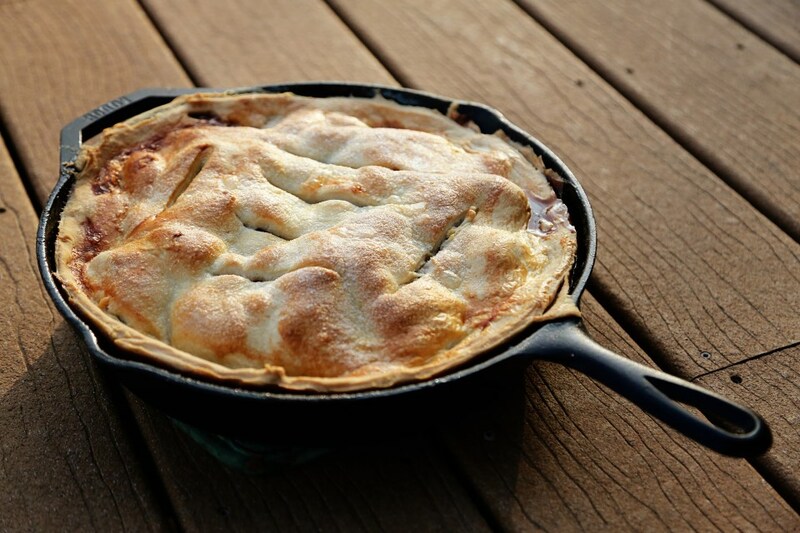 Place another 4″ round of dough on top and crimp the edges. 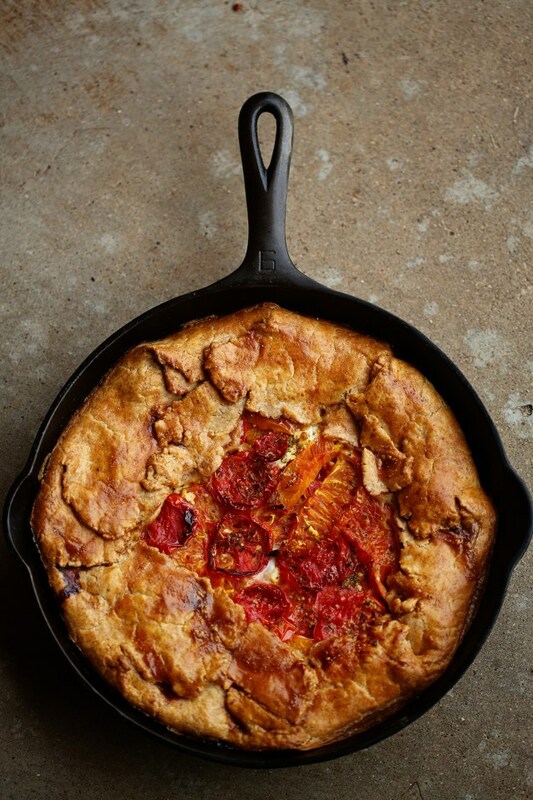 Brush with a beaten egg and bake at 375F for 30-40 minutes, until the crust is nicely browned. 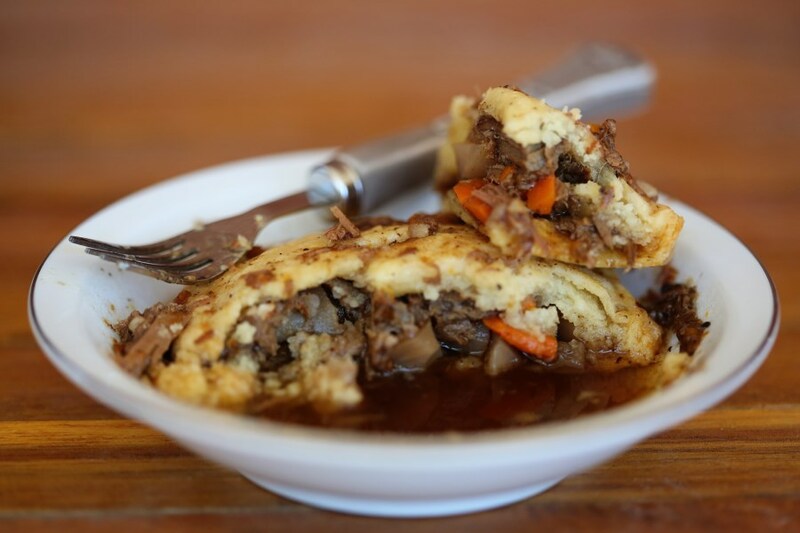 Place a hand pie into a shallow bowl and ladle a warmed cup of leftover pot roast juice over the pie and serve immediately!